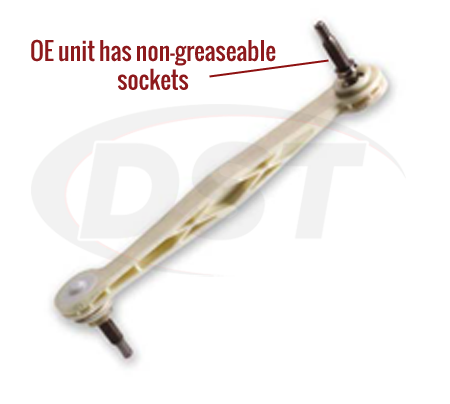 The OE front sway bar end link in your vehicle was designed with a plastic socket that is non-greaseable. This poor design makes the end link prone to premature wear from intrusion and boot failure. Also, if you've had service done where air guns were used then chances are you've had irreversible damage done. Wrench flats are inaccessible during installation allowing the stud to spin within the plastic socket. Here at DST we know how frustrating that can be! You're simply thinking you're improving your vehicle's suspension, but in reality, you're causing permanent damage. Moog's line of problem solver parts target factory defects or poor original design, replacing them with a better more durable part. K8702 was engineered so it will not break down like the OE plastic design. 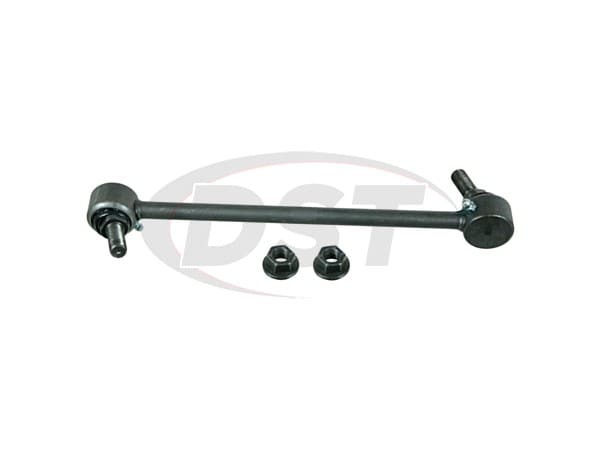 Moog engineered a durable, all-metal front sway bar end link to ease your mind. Moog Problem Solver K8702 was designed to be durable and greaseable- allowing contaminants to be flushed out and friction to be reduced. 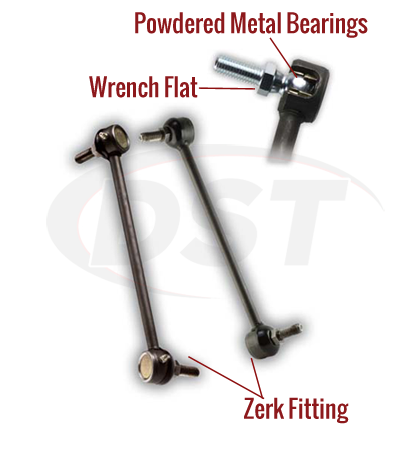 Powdered metal gusher bearing design allows lubricant to penetrate bearing surfaces, providing longer life. Moog engineered the wrench flat to have easy access allowing the use of a socket for easy installation. There's a metal stud with full ball configuration providing 360 degrees of smooth, even, rotational movement. If you have any questions about K8702 or any other Moog Problem Solver, please feel free to give DST customer service a call. starstarstarstarstar" Well made. Easy to install "
This is a well made product. Will part number K8702 fit on the passenger side of my 95 Taurus? 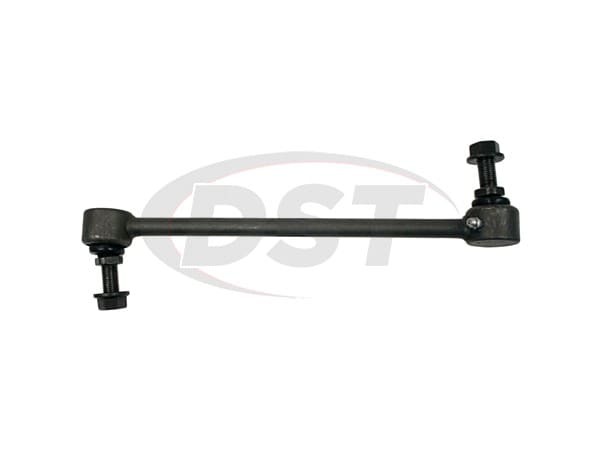 Part number K8702 does fit both sides of the front swaybar on the 1995 Taurus?